Hello, hello.... Happy weekend.. and yaaayyy school holidays have started again.... So what are you all doing this weekend? 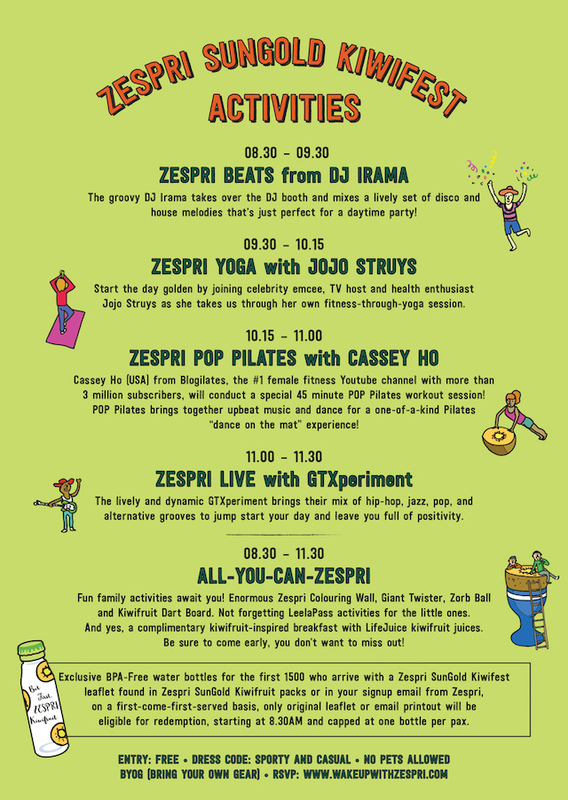 I find myself having plenty of activities this weekend... Gonna go have a picnic later and then attend a wedding... and tomorrow morning there is the Zespri Sungold Kiwifest happening at Desa Parkcity!!! And it is gonna be loads of fun...and yes, if you have nothing on, you definitely want to be there!!! 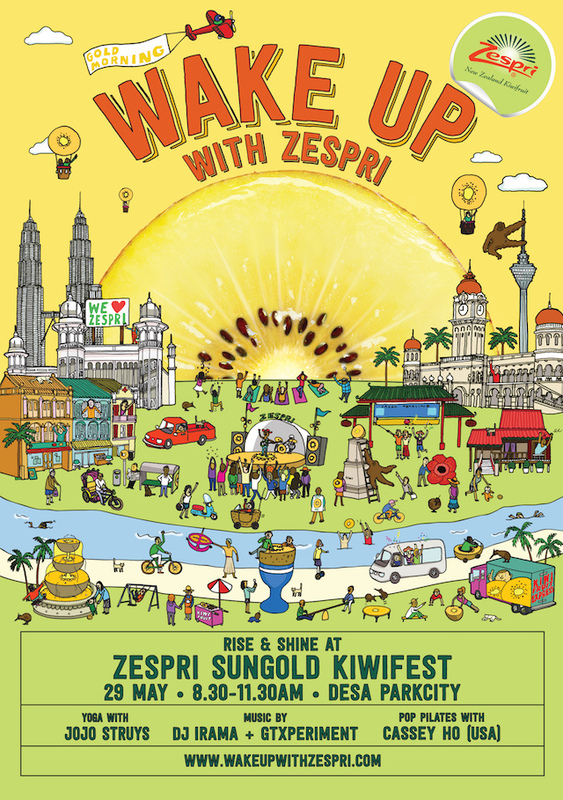 The Zespri® SunGold Kiwifest will be on from 8:30am up to 11:30am at the Desa Parkcity park on Sunday, 29 May 2016, so mark your calendar and see you tomorrow morning there!!!! Some of the highlights of the event includes fun workouts featuring Cassey Ho of YouTube fame (Cassey will be flying all the way down from Los Angeles!! ), Malaysian celebrity host, the lovely Jojo Struys, and there will be irresistible family activities such as children interactive games with Leelapass, Giant Twister, Zorb Ball, Kiwi Dart Board and nutritious kiwifruit-inspired breakfast. So be there or be square!!!! I also have great news for the first 1500 attendees who bring along the kiwifest leaflet which you can find in each Zespri SunGold Kiwifruit punnet sold at major grocery centres from 19 to 29 May, you can claim a limited edition BPA-Free Zespri Water bottle! See the pretty BPA-Free plastic bottle in the picture above at the top left corner....!!! Nice right??!! Did you know if you consume a sweet and zesty kiwifruit every morning, it can really impact your overall well being?! Vitamin C is important to our strengthen our body's immune system, protect muscle tissue against free radical damages, reduce fatigue and improve our body's vitality. Did you know the kiwi skin is edible… It is much softer and thinner than you might think. As with most other fruits, the skin is the portion that is highest in fibre (packed with other nutrients too) and I especially prefer the SunGold Kiwifruit rather then the more furry green Kiwifruit for this reason….I do not scoop my kiwi out, but prefer to just wash them thoroughly and bite into it…. The golden yellow flesh of a Zespri SunGold Kiwifruit is juicy with a fresh tang, not quite as zesty as the more commonly seen green variety, hence easier on the palate for those who like their fruits slightly sweet. Despite this natural sweetness, the Zespri SunGold Kiwifruit has a low glycaemic index of 38, which indicates the amount of glucose that is released during digestion from carbohydrates into the blood system, and slow glucose diffusion means that one feels less hunger in between meals. This makes the Zespri SunGold kiwifruit an ideal option for people with reduced tolerance to glucose, such as those suffering from diabetes. 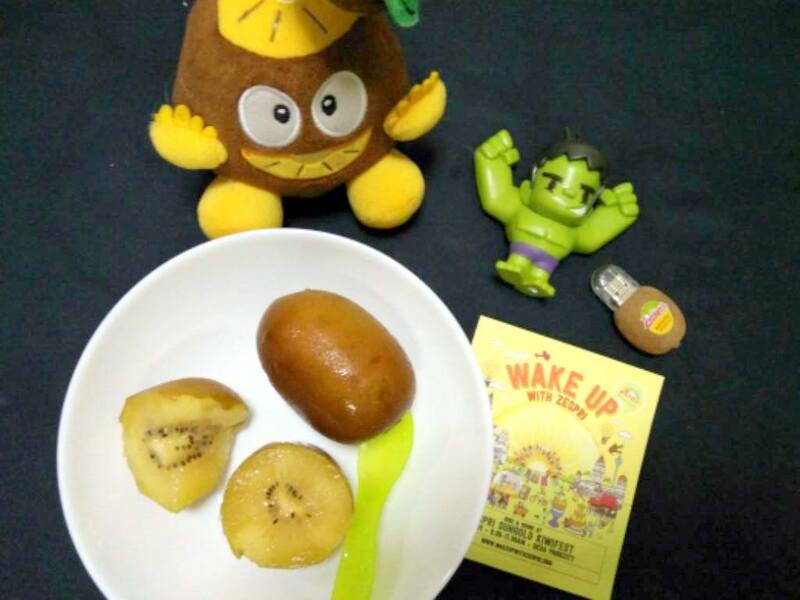 Ok, I for one will be there at the Zespri's SunGold Kiwifest tomorrow at Desa Parkcity.. so if you are there and if you see me, do come and say hi... I do not bite humans... I only bite this juicy kiwi as it is irresistible..
More information can be found on their Facebook page at https://www.facebook.com/ZespriMY. 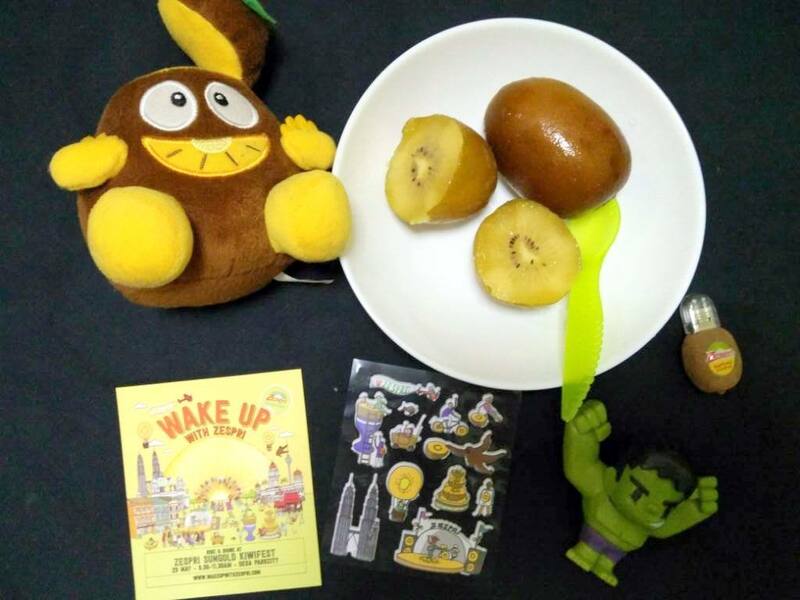 Connect with Zespri Kiwifruit Malaysia below! 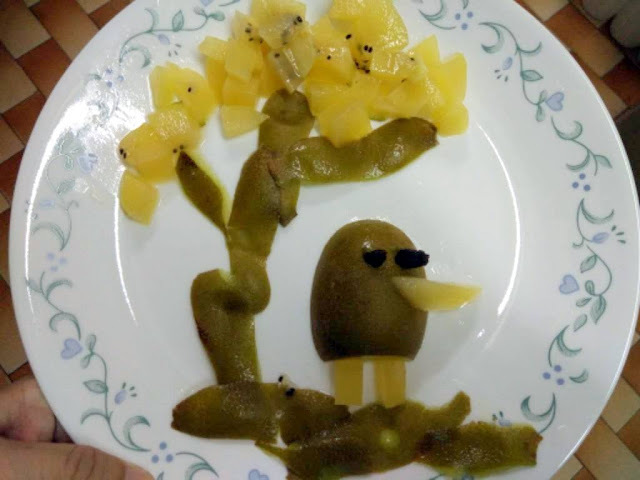 wow fun event and I love to eat kiwi.